Obviously, we’ve been living in D.C. for the last few months. Which is long enough for our lifestyles to transform, and for new struggles to be identified. 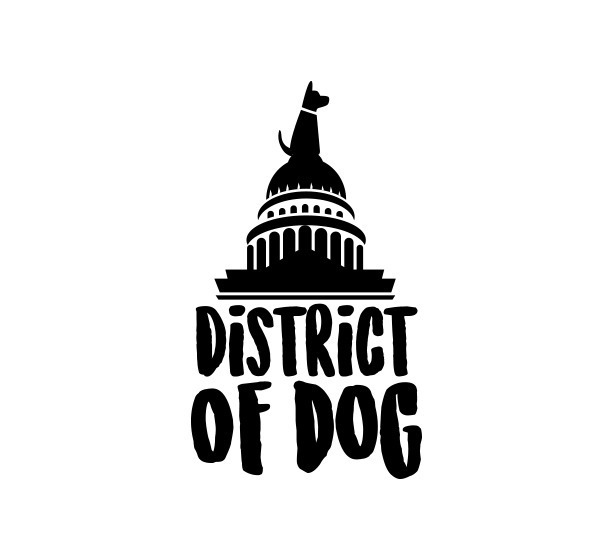 Today we’re releasing what we hope to be a tool for ourselves & the rest of The District against one struggle in particular: taking our dogs with us when we’re chilling. So far we have had to deal with not only our own lack of knowledge, but also the lack of updated information pertaining to the dog-friendliness of most eating/drinking/hanging establishments. 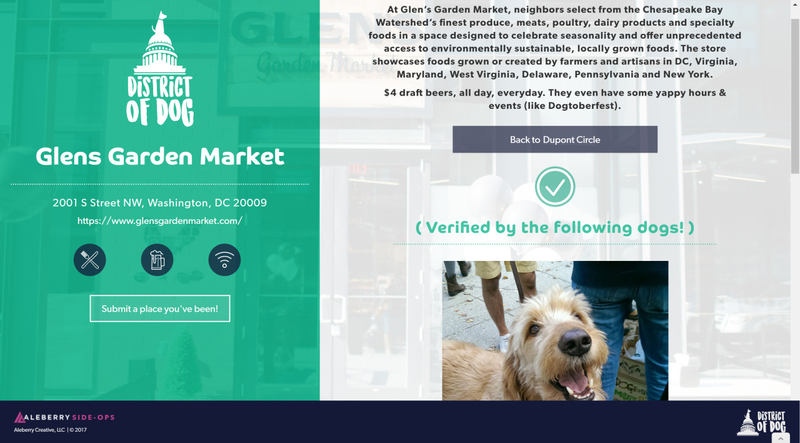 We just want to know what is nearby (since we’re on foot), and if they are legit dog friendly (or is it just a single picnic table “patio” on a sidewalk)? District of Dog aims to provide folks in The District a way to help each other out with this info. 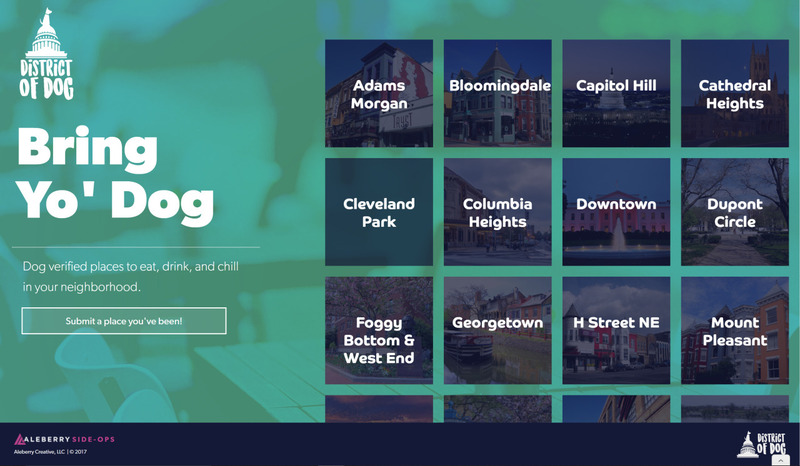 Separated into official & unofficial neighborhoods, each contains a list of user-submitted dog friendly-establishments, with information regarding the Food / Drinks / WiFi situation and most importantly, a photo of a / my / your dog actually chilling in said location. We’re still working out a few kinks and only have a handful of submissions available at launch, but a dog-verified database is the goal here. 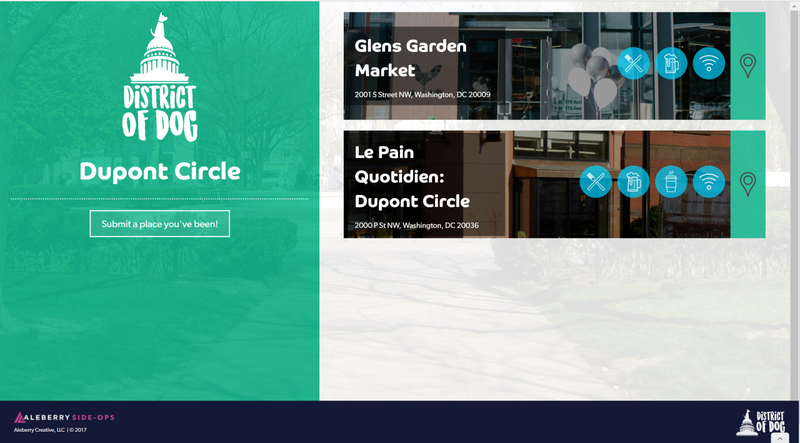 We need our D.C. constituents’ help; show us where you hang with your dog!